Chipmaker Advanced Micro Devices (NASDAQ:AMD) was the top-performing stock in the S&P 500 for 2018. In calendar 2018, AMD stock rose 80%, versus a 6% drop for the S&P 500. That is impressive in and of itself, but next to the performance of its chipmaker peers, it’s especially impressive. While AMD stock rose 80% in 2018, Intel (NASDAQ:INTC) rose just 1%, while Nvidia (NASDAQ:NVDA) dropped 30%. In other words, AMD stock generated 110 points of alpha over former industry favorite Nvidia in 2018. Can this run continue? Will AMD stock be a top performer yet again in 2019? It’s certainly possible. The same tailwinds which pushed AMD stock higher in 2018 remain intact today. The valuation is reasonable under realistic growth assumptions, the growth trajectory remains promising, and the company’s size relative to its addressable market implies further upside. There are also M&A rumors on the table. Overall, there are reasons to believe that AMD stock is set have another big year. Will it be another 80% gain? Probably not. But, so long as certain tailwinds remain in play, AMD stock should have another strong showing in 2019. With that in mind, let’s take a look at five reasons to buy AMD stock in the new year. For as long as most investors can remember, the CPU server market has been dominated by Intel. As recently as last year, Intel controlled roughly 99% of this market. But there are signs that this is changing. AMD has made a big push into the CPU server market with its EPYC chips. Estimates for how much server market share AMD has gained through EPYC most normally come in around 5%, or in the mid-single-digit range. With the launch of new 7nm EPYC Rome chips, AMD projects to keep stealing share from Intel in 2019. 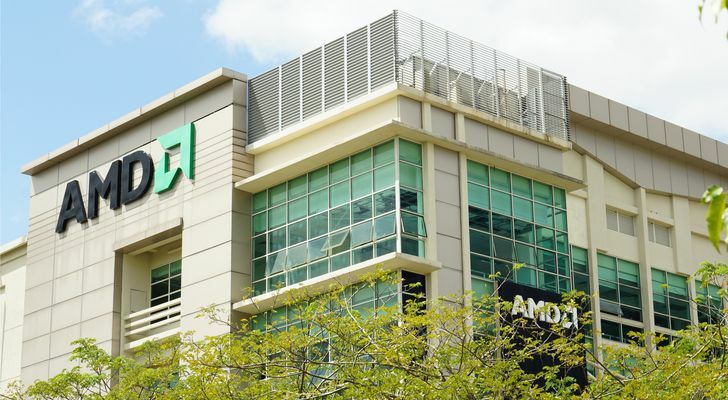 Many industry analysts and insiders see AMD’s share rising from 5% in 2018, to 10% or higher in 2019. This is an extremely valuable market supported by secular growth trends in AI and data. If AMD can continue to grow share in this market, not only does that boost present-day financials, but it also adds visibility and firepower to the long-term growth trajectory. That is a winning combination which usually leads to a winning stock. AMD isn’t just stealing CPU market share from Intel. The company is also stealing GPU market share from Nvidia, too. AMD has been steadily gaining GPU market share through its Ryzen and Radeon products. Notably, AMD just scored a big win when cloud giant Alphabet (NASDAQ:GOOG, NASDAQ:GOOGL) announced that its huge cloud gaming project would use AMD’s Radeon GPUs. Also, a recent CES Keynote presentation included a much-heavier-than-expected focus on GPUs, and the consensus media belief coming out of that event is that AMD has enough GPU firepower to continue competing with Nvidia. Much like the server market, this, too, is a very valuable market supported by secular growth trends in AI and visualization. If AMD can continue to grow share in this market, this will provide a double tailwind thanks to boosted near- and long-term fundamentals. That combination could power AMD stock higher in 2019. The EE Times recently reported that rumors regarding a potential Intel acquisition of AMD were circulating at CES this year. 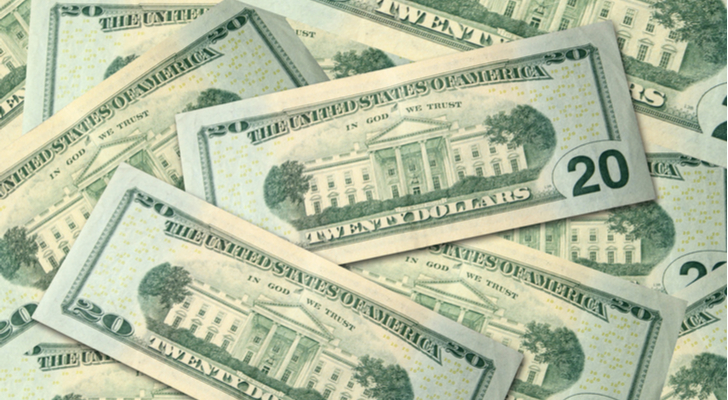 The rationale behind these M&A rumors is pretty simple. AMD is David, and David is all of the sudden becoming an increasingly large threat to Goliath (Intel). Goliath can’t easily squash David anymore, so why not join forces? Intel has the resources to do it. They also don’t have a CEO, while AMD has a very well respected CEO. This acquisition likely won’t happen. 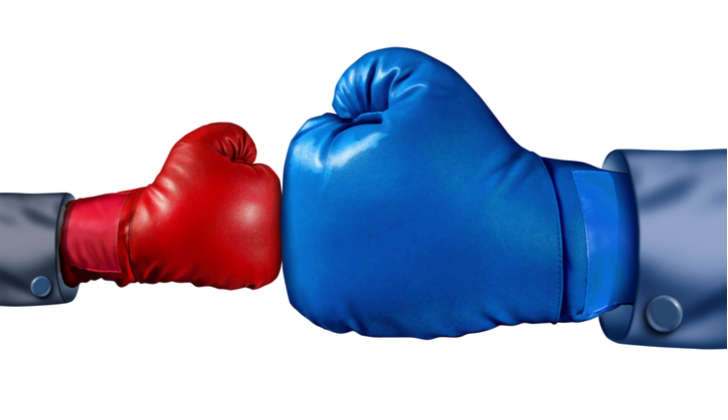 These two companies have a tumultuous history marked by persistent competition. Also, the FTC would likely never allow this to happen. 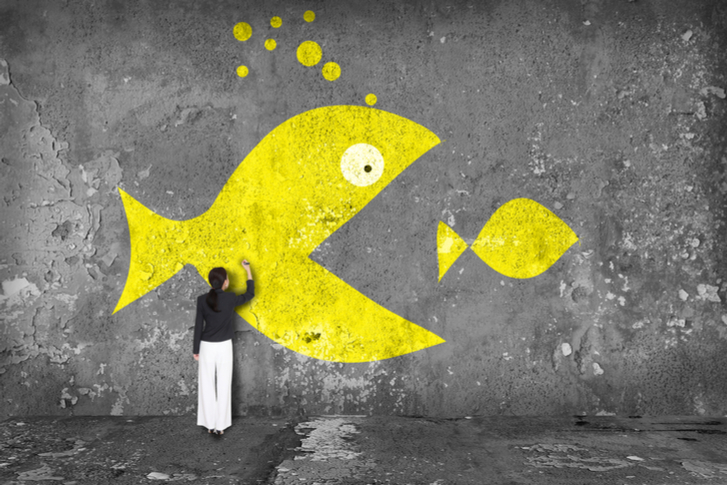 Nonetheless, M&A rumors normally don’t begin and end with one potential suitor. Throughout 2019, given AMD’s relatively small size and huge growth potential, there could be multiple M&A rumors that arise, some of which may actually have some credibility and provide a nice boost to AMD stock. The long-term growth potential of AMD stock is quite promising considering you have a relatively small company rapidly gaining share in some huge markets. Just consider this. AMD has a market cap of about $20 billion. Nvidia is a $92 billion company. Intel is a $220 billion company. Thus, the combined size of Intel and Nvidia is over $310 billion, meaning AMD is presently about 6% as big as its potential opportunity. So long as AMD continues to rapidly steal share away from both Intel and Nvidia, investors will increasingly see the gap in valuation between AMD stock and Nvidia and Intel stocks as nonsensical. That will attract buyers and push AMD stock higher. At the end of the day, it always comes back to the fundamentals for stocks. The fundamentals for AMD stock are that this is a small company attacking big markets and successfully growing share in those markets. There are question marks surrounding the sustainability of those share gains, but if they persist, this will remain a double-digit revenue growth company with healthy margin drivers for the next five-plus years. If AMD does remain a double-digit growth company, then $2 in EPS looks achievable by fiscal 2023. A growth average 20 forward multiple on that implies a fiscal 2022 price target of $40. Thus, this is a stock which could reasonably double within the next four to five years. As of this writing, Luke Lango was long INTC and NVDA. Article printed from InvestorPlace Media, https://investorplace.com/2019/01/5-reasons-to-buy-amd-stock/.